It’s audition time for the Buffalo Sabres, and Linus Ullmark is trying to make it to Broadway. With nothing but a little pride at stake for the remainder of the season, the Sabres have the luxury of taking a good-sized look at what sort of talent they have in the roster. One of their biggest puzzles is what to do with their goaltending for next year. They have split the job between Robin Lehner and Chad Johnson for much of the season. Both have been OK for the most part, but neither has been able to grab the starting job by the throat and keep it. Admittedly, that may be more of a comment on the team’s defense than the goalies. What’s more, Lehner will be a restricted free agent at the end of the summer, while Johnson will be an unrestricted free agent. 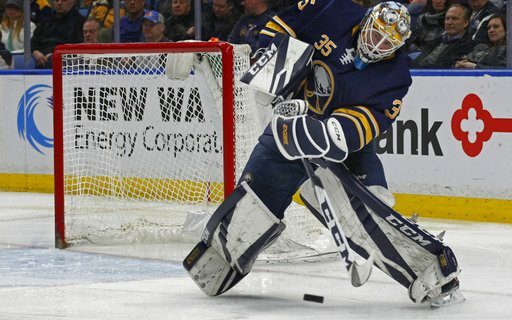 Clearly, the Sabres will have some decisions to make over the summer, and Ullmark hopes to give them more to think about as the offseason approaches. 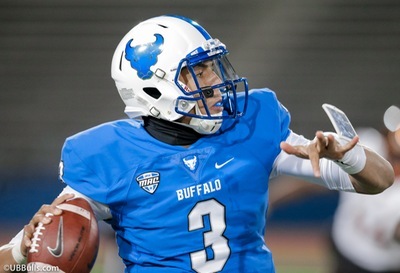 He had a 20-11-10 record in Rochester and won his only start in a previous recall. Could he be a No. 1 goalie next season? A No. 1A? A No. 2? It would help to get some clues now. Buffalo threw the 24-year-old on the ice against the toughest possible competition on Monday night, as the Nashville Predators – the owners of the league’s best record – came to town. Ullmark was good, but he couldn’t keep up with the play of the opposing goalie. Pekka Rinne stopped all 35 shots against him as Nashville defeated the Sabres, 4-0. The win came before 17,507 in the KeyBank Center. Rinne’s performance might have been the best by an opposing goalie in Buffalo’s rink this season. Most of the time he looked like a slick-fielding first baseman, snapping his glove to catch arriving pucks every time he was tested. “Give him credit,” Sabres center Jack Eichel said. “He’s one of the best goalies ever to play in this league for a reason. Obviously in a game like that you have to find (a goal). Whether it’s the second or third opportunity – you don’t want to make the extra pass, but against a goalie like that you have to think about it. Ullmark wasn’t willing to rate his performance after the game (“It’s tough to say; I’ll take a look at it tomorrow”) but coach Phil Housley came away satisfied. It was an odd game between the powerful Predators and the lowly Sabres, as the team that entered the game in 30th place had the better of the play for long stretches. But there was no panic from Nashville, which took care of business and waited patiently for opportunities. The Predators got one of those chances just past the midway mark of the second period when the recently unretired Mike Fisher tipped in a shot from the point for the game’s first goal. The Sabres challenged, claiming goalie interference, but got nowhere. Ryan Johansen knocked home a rebound to make it 2-0 less than five minutes later. It stayed that way for about 19 minutes, when Ullmark made one save by Filip Fosberg scored on the rebound. Finally Ryan Hartman added the exclamation point with a score with 24 seconds left. At game’s end, Ullmark hadn’t been given the part yet, but he didn’t get sent home by the producer, either. The goalie auditions and the homestand continue on Wednesday, when Arizona comes to town.